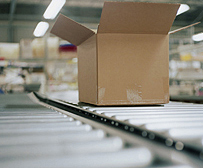 Your business requires the most cost-efficient, timely delivery of product inputs possible. Producing plastic components and plastic packaging solutions requires a plan to support a customer's logistics needs. Let Peak's Supply Chain Experts provide solutions for any of your supply chain challenges. Want to know how alternative materials can lower your cost of transportation? Interested in how Peak can dramatically accelerate your supply chain availability? Based on customer requests over the last two decades of operations, Peak has built an extensive network of JIT centers and JIT partners to assist in the supply, inventory services and delivery of production level quantities of products supplied by Peak.